October 2009 ~ Scorp's Say ....! Sherlock Holmes is Back ! 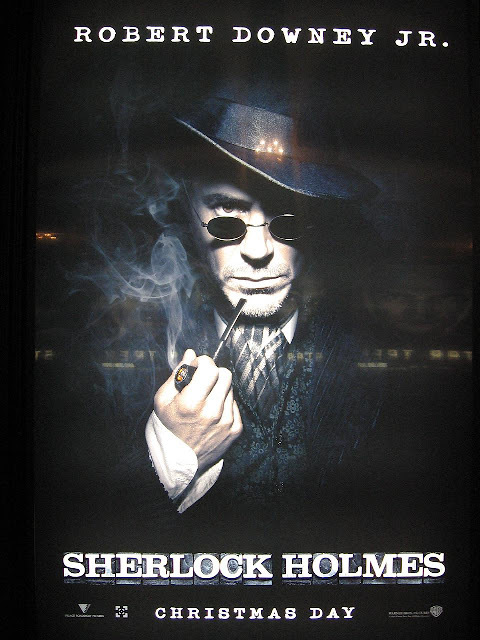 Directed by Guy Ritchie - this adds up the flavor ! What will we do if handed over a digicam, or at least an ordinary video recorder, at the age of seven, by our parents? I would definitely think that it's an oversized metal toy which does not have anything special to impress me, and will throw it repeatedly to the ground till I lay my hands on a new toy. But children like Robert Anthony Rodriguez had other plans. They just started to shoot movies using that 'oversized metal toy', and identified a career out of it! Well, that was exactly how Robert Rodriguez's career began as a filmmaker. During his seventh year, when his father bought a video casette recorder (what is called as a VCR – you remember right? People from the seventies.. that was the only entertainment with respect to movies, as far as we were concerned during our childhood), Rodriguez started to use it. After a few years, when at highschool, due his prowess with the cam, he was asked by the authorities to film the football matches which happened during that particular year, and what Rodriguez did, absolutely enraged them to the core, and they fired him out of the job straightaway! Yes. Till that time, filming a football match meant, recording the match ONLY, and nothing else. But what Rodriguez did was to record the ball flying high in the air, and the instant reactions of people seeing it! Typical cinema style! That cost him his job as a video recorder in the match, and he didn't worry at all. By this time, he was well aware so as to what will earn him his bread. When he went to the College of Communication at Texas University to study filming, his marks were 'low', to their standards. Hence he was unable to join film lessons straightaway. But then, he found a way out to join the classes, by impressing the authorities. He discovered something which amused the lecturers and the students alike, which got him a seat at the college. Rodriguez invented a comic strip which was on the lines of a 'Charles Bukowsky' style, inventing characters based on his own life incidents. The leading character was a girl, which was based on his younger sister. That comics – 'Los Hooligans' (he later named his production company as 'Los Hooligans'), was a hit among the college people, and it ran for almost three years in the college magazine. In the college, Rodriguez was making a number of short films. One day, he decided to participate in a local film making contest, where he made a comic movie about a girl getting repeatedly annoyed about her brother's hairdo, which absolutely looks like medusa's hair - a total mess! The movie was titled as 'Bedhead' , referring to the brother's hair which is a terrible mess. While getting teased by her brother, she tries to beat him and falls down, and gets hit in her head. In so doing, she suddenly picks up a telekinetic power which makes her extremely powerful. But, while avenging on her brother, she gets hit again in the head, and gets admitted in a hospital. There, she decides to use her power in a good manner, but at the same time, also decides to be a constant threat to her brother. 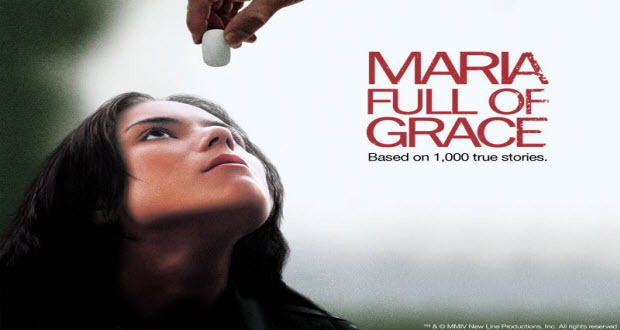 This movie garnered awards and prizes , which made him to finally choose his road . The road more traveled by a lot of veterans so far. With as little as 7000$, he made his first movie 'El Mariachi' - which was originally supposed to be a home video in Spanish, but went on to become a hit and was marketed as a feature film in Hollywood. The movie also garnered the audience award at the Sundance film festival - a film festival dedicated to the independent film makers. The founding chair person is Robert Redford whose 'Butch Cassidy and the Sundance Kid' was an inspiration for the inception of the film festival. 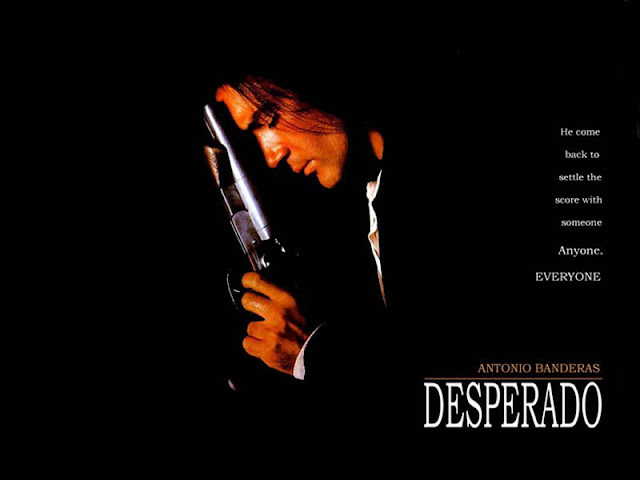 Robert Rodriguez followed his first hit with a few TV episodes of a series named Roadcrackers, and then released one of his signature movies - Desperado (one of my favorite movies)- which was a mixture of the latino style with explosive Hollywood action. It starred Antonio Benderas and Salma Hayek. It had the typical Rodriguez style of film making written all over it , with sudden cuts, close ups, funny dialogues, outright action, seductive females and a nice music (all these, a part of Quentin Tarentino films too). The next film was 'From dusk till dawn', which starred George Clooney along with a geeky looking guy called Quentin Tarentino. In fact, it was Tarentino who wrote the script, and Rodriguez directed it. This movie 's first part will make you think that you are in to a psychotic chase drama, and the second part will make you to break the TV - it's a mixture of two bizarre sections coming together. 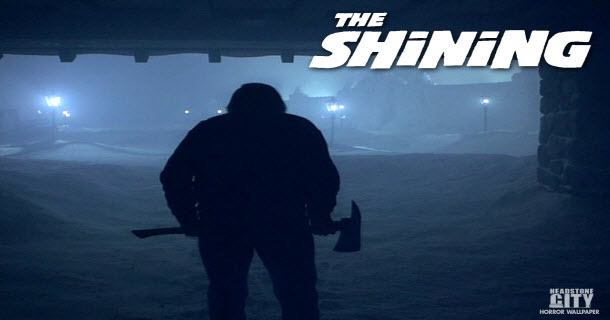 The first time I saw this film, I enjoyed the first part thoroughly and was bracing myself for the second section,which turned bizarre and even a bit idiotic, totally making me to bite my pillow. Between Desperado and From dusk till dawn, he directed an episode among the four episodes in the film, 'The four rooms' (The other three episodes were directed by Quentin Tarentino, Allison Anders & Alexandre Rockwell). It is a comical movie about four stories happening in a hotel, in four different rooms, where the assistant in the hotel (Tim Roth) witnesses all the four stories. Rodriguez directed the episode named 'Room 309 - the misbehavors', which starred (again) Antonio Benderas and Salma Hayek (as a girl dancing in the TV). The story is all about a couple leaving their two kids in the hands of the assistant, while they go out. Many comical incidents follow, which creates the whole episode as an interesting one to watch. The next movie was 'Faculty', a science fiction thriller, which was not that successful. The movie following it, though, was a major success, which spawned two more sequels. It's 'Spy Kids', a thoroughly entertaining series of movies about two kids, whose parents are spies, and their adventures. The third part had Stallone as the bad guy, which was also a 3D movie. Between spy kids 2 and 3, Rodriguez completed his 'El Mariachi' trilogy with 'Once upon a time in Mexico', which marked the return of the guy with the guitar. Antonio Benderas starred in this flick, with Salma Hayek. It starred Johnny Depp too. The movie was named so, as a tribute for Sergio Leone. After the spy kids movies, Rodriguez returned to his familiar action packed foray with 'Sin city', originally a graphic novel series by Frank Miller, the famous storyteller. Since Rodriguez had a wide knowledge about the comics and stuff (as he himself had a successful comic strip to his name), he was able to convince Frank Miller, who was initially unwilling to give his comics rights to this movie. As a result, Frank Miller too co-directed the film which went on to become a huge hit. The whole movie was a high quality digital film, shot entirely in rich color and later converted to black and white, using state of the art techniques. Although the entire movie was in black and white, selected things and effects were in color, giving the film a complete graphic novel effect. As usual, Quentin Tarentino guest directed a scene. Sin city was followed by another movie for children, the adventures of sharkboy and lava girl, which was also a 3D movie. After this film, Rodriguez joined hands with his long time buddy Quentin Tarentino again, to direct a movie called Planet Terror, a part of the two part series Grindhouse. The movie Grindhouse contained two movies, Planet Terror and Death Proof, which was directed by Tarentino. 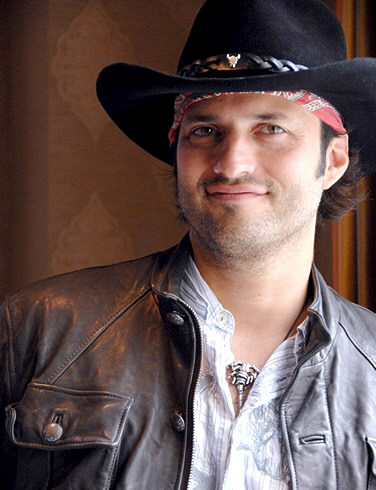 Robert Rodriguez is a man of multi talents. He can direct, write screenplays, compose music, edit, and can handle the camera very well. 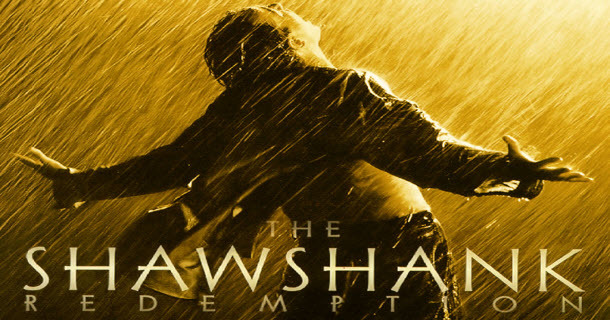 Infact, in all of his movies, in the titles, to denote his editing, it will be displayed as 'chopped by Robert Rodriguez'. 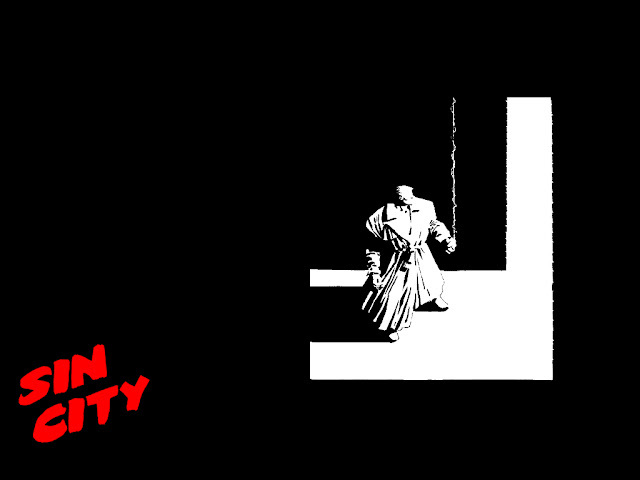 Currently, Rodriguez is filming the sequel to Sin City. No matter what kind of movie he is making, one thing is for sure. There will be absolute entertainment from Robert Rodriguez, and it will be one hell of a ride !!! Here are a few of his movie trailers . . Here is the review of a gripping movie - 'The Samaritan Girl' - posted by Shree.. I have already introduced her blog long ago when she wrote about poor children and a cause to support them. Now, she has started writing reviews too, and it's nice to see her first review being a Kim-Ki Duk movie, one of our favorite directors. It's good to see the movie being reviewed from a girl's point of view, as it will give us the exact picture of what's happening inside the leading characters' mind, both being girls. This becomes a part of our World movie series, with due permission from Shree. . . All the appreciations to be routed to her blog. .
Inglourious Basterds - Once upon a time in the brain of a nostalgic Tarentino . . . When we become nostalgic with our childhood memories and the things we loved during the days we grew up, we will reminiscent those days for a while, and then will carry on our work. At the most, we will visit a neighboring bar (or a park, for teetotalers), will gulp a few larges with old friends, and then walk away to our home to continue with our day today work. Okay. What will happen when a famous director gets nostalgic with his favorite movies from his childhood? It's unnatural to expect him to walk away just like that, and the result is 'Inglourious Basterds'. Imagine the feel and effect of great spaghetti (can anyone suggest a different name, for a change?) westerns like 'Good, bad and the ugly' or 'A fistful of dollars' or 'Once upon a time in the west' (incidentally, all are Sergio Leone flicks). To me, watching one of these (and many more quality westerns) is like heaven. The effect it gives after watching these movies is terrific, with the mind brimming with happiness. The same effect is achieved from watching 'Inglourious Basterds'. Saw the movie very recently in Bangalore, as it was released just now in India. I didn't want to see this one in internet or in DVD, as Quentin Tarentino is easily my most favorite director. I watched his Pulp Fiction long ago, and was astounded. From then on, started to see all his movies one by one, and he easily became the kind of director a movie buff would prefer. I mean, after watching a Tarentino flick, one would get what he wanted from the movie. 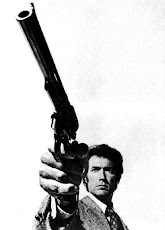 The movie begins exactly like 'Good, bad and the Ugly', where Angel face (the talented Lee van Cleef) walks in to the house of Stevens to enquire about the hidden treasure, and kills the family soon after. In fact, the first few minutes never had a single dialogue in that film (and in many other Leone flicks). The same way, we see Colonel Hans Landa walk in to the house of a frenchman and kills a family which had seeken refuge at his cellar. The only girl Shosanna, who escapes from the massacre, later on tries to avenge for her family's death. 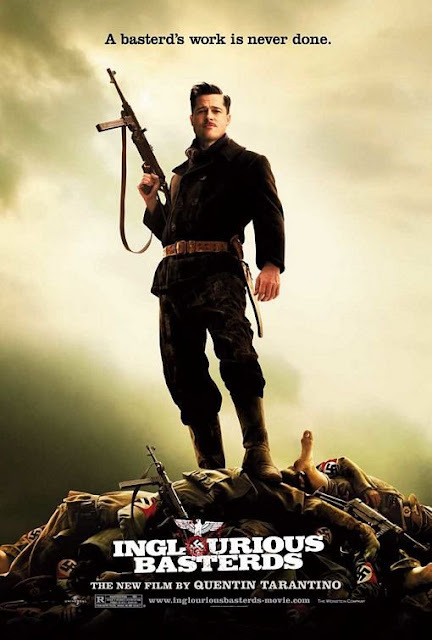 Now, we cut to Lieutenant Aldo Raine (Brad Pitt), recruiting a pack of Jewish – American soldiers – to kill and create panic in France by killing every German soldier who they see – in fact, every one of these soldiers must have to kill at least a hundred Germans and scalp them. They carve a Swasthik - the Nazi symbol – on the forehead of one soldier whom they decide to leave away as a survivor at every killing – to spread the terror among the Germans. A perfect plot, where on one side, there are a pack of angry ruthless soldiers who would stop at nothing, and on the other side there is the lone survivor from a massacre, throbbing to avenge the death of her family. What will happen if both these plots collide at one common goal during the course of the film? 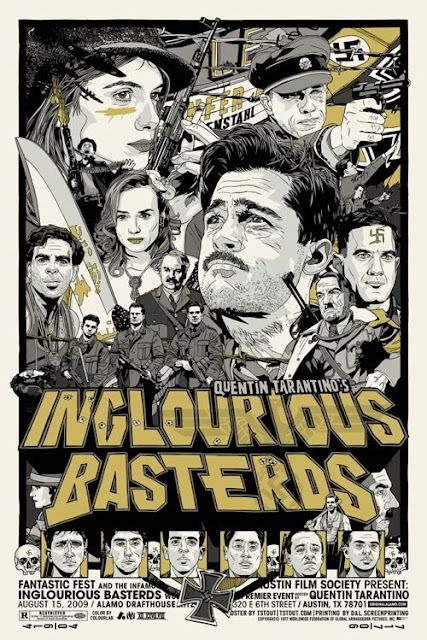 Well, it's Inglourious Basterds, in a nutshell. As usual, there is the elegant touch of Quentin through out the film, and he doesn't cheat his fans. Right from the tight close-up shots showing the little things (spoons, guns etc), to showing in balloons what the characters think, and showing in animated pointers the names of the characters among a crowd, Quentin pleases his fans. As usual, we see the chapter names among the scenes. We hear witty dialogues and we see the splash of blood all over. It's an outright Quentin flick both hands down. I read in a few reviews that Quentin has lost his gifted story telling prowess, and this movie is not like his Pulp fiction or reservoir dogs. I don't think so. When a fantastic story teller becomes nostalgic about his favorite flicks, the output is a movie like this, and we must see the movie keeping this fact in mind. The one guy who stands apart (Sounds like 'A band Apart', rite? Quentin's production house) is Christopher Waltz, who plays the role of the Nazi colonel Hans Landa. I was astonished to learn that this is his first major film ! A fantastic performance indeed. The fact that he is fluent in German, French and English adds up to his excellent performance. The character of the German colonel is not a completely sadistic one, as we see in the beginning, but is a mixture of emotions combined with a good taste and a dashing confidence, with a touch of feminine grace (might be termed as charm). Waltz has really done a waltz in the movie- the one character which makes the movie worthwhile to watch. I remember that before a few years, I first read the movie's title in the internet, and it was gossiped that Stallone and Schwarzenegger are to star in the title roles along with Michael Madson and Mickey Rourke. I was eagerly awaiting all these years for this movie, and it didn't disappoint me. I simply loved it. Tarentino's take on this movie - 'You know somethin', Utivich? I think this might just be my masterpiece' – Just might be Mr. Tarentino. . But never mind. Ultimately, it's the fun ride which we need. 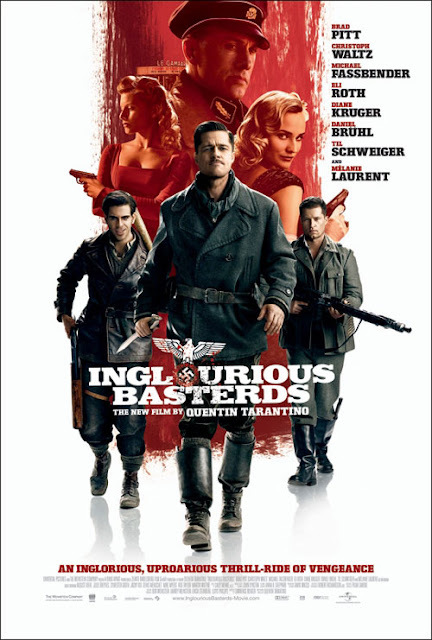 Inglourious Basterds – Vintage Tarentino. The break is (almost) over . . . It's been a break for sometime since the past 2-3 months, as the posts have deteriorated rapidly. Well, I ave relocated from Chennai to Bangalore in this period, and am setting up things. I am almost done with settling down in the city of lakes, and you can expect regular posts sooner.. I still have a lot of unseen foreign movie DVDs with me, and I'm planning to write about them from next week onwards. Until hten, happy blogging, and wishing every one of you a fantastic festival of lights. . . . Njoy Diwali and have a (real) blast ! ! !